Whitsunday Anglican School upholds its mission, vision and values. We offer an education that proudly promotes Christian values while tailored to the needs of each individual student. 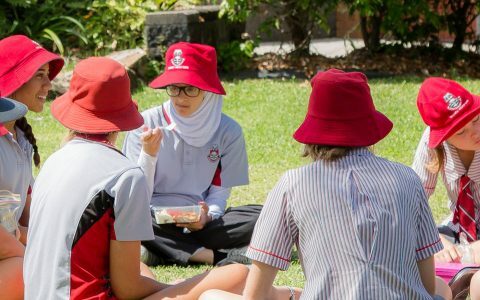 Within a framework of Christian values we provide an engaging and supportive learning experience that achieves the best outcome for the individual. The School offers an education that caters to the individual needs of its students and proudly promotes Christian values. To ensure the development of each student, emphasis is given to discipline that is firm but fair; to respect and responsibility for oneself and for each other; and to participation in co-curricular activities and service. The combined intention of which is the development of a commitment towards responsible citizenship. There is a strong tradition of cooperation and friendship between parents and staff in the School. The process of education is a combined operation, with school and home each playing an important part. With cooperation between the two it is intended that the students derive maximum benefit from their experiences. The School expects to contribute to the full intellectual, physical, social, aesthetic, moral and spiritual development of each student. Characterized by faith in God, forgiveness, reconciliation, developing a sense of mission/purpose through service to, and compassion and care for others. Characterized by openness to a broad range of ideas and concepts, accommodation of multi cultures and faiths, and inclusivity of a wide range of backgrounds. Characterized by the pursuit of optimum outcomes for students in their academic, sporting and cultural endeavours by our explicit strategies to assist students develop the habits of self-belief, persistence and resilience. Characterized by our expectations for a conservative approach to worship, dress, appearance, manners, language, social discourse, rituals and symbols. Characterized by consideration of the needs of the group before the needs of the individual, expressed through collaboration, teamwork, honesty and consistency.